I am a 22-year-old Mexican-American woman still living with my parents but going to college, working full-time and taking care of myself financially. I’m the only one of my cousins who was not in gangs, didn’t leave with the boyfriend at 15 and is doing something with her life, and still I get s—t for not being married at my age! Why? Enlighten me: What is the right age for a Mexican girl to get married? —Soon to Wed, Ya Que! Dear Chula: Déjame get wonky for a bit before answering your question. No reliable current stats for the median age of first marriage for women in the United States exist anymore, but the 2002 National Survey of Family Growth, co-sponsored by the Center for Disease Control and the National Center for Health Statistics, noted something interesting. It showed that 10 percent of Latinas (mostly mexicanas, of course) marry for the first time by age 18, compared with six percent of gabachas. And Latinas marry for the first time at a younger age in a greater rate than gabachas until 24, by which time an equal percentage (roughly 50) of Mexican mujeres and gabachas have married for the first time. After that, the trends reverse, and Mexican women tend to delay their first marriage at higher levels than gabachas. So, Mexican women generally marry younger, but not in the ridiculously overblown numbers Know-Nothings trot out to justify demonizing us as sexual deviants. Ahora, to your question, Soon to Wed: the right age para casarte is whenever a girl is ready. 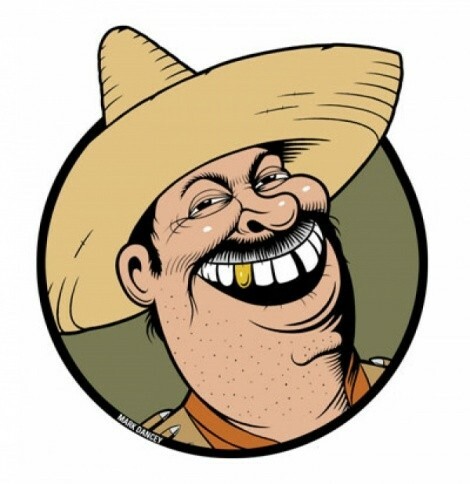 The Mexican recommends chicas get a good career before paying attention to wooing pendejos and reminds them that men of all razas want women only to take care of their chorizo and huevos. Your family giving you a hard time just because you dare delay? Que se vayan a la chingada. Or, in the language of the Bard: tell ’em to slag off. Dear Gabacho: Actually, the two countries signed their gentleman’s agreement in 1848, when Mexico gifted el Norte with half of its territory with the provision the U.S. create a financial system that forever relied on cheap labor. And the Pew Hispanic Center’s Statistical Portrait of Hispanics in the United States, 2006 estimates based on U.S. Census figures that Mexicans of all stripes number 30 million, and foreign-born wabs a mere third or so of that amount, with the illegal portion even smaller. As for the IRS, I may be Mexican, but I ain’t not dumb—no comment on our finest of institutions.